Happy new year from your friends at IPG Anderson. Well, it is now 2017 and most of us have made a New Year resolution to begin or increase our exercise to become healthier. First of all, I applaud each and every one of you that have made this a priority for your 2017 year. At the same time, I urge you to start slow and work your way up. Please don’t try to be a weekend warrior and hurt yourself. Not only is it important to gradually increase your exercising, but also to wear good accommodative shoes to support your body and give you stability when running. There is a plethora of good running shoes that are available including Brooks, Asics, New Balance, Ecco, and Saucony. If you still feel like there is not enough support in your shoe an insert/orthotic maybe a good addition to your shoes. Orthotics will help maintain your arch and decrease any abnormal heel motion. The best type of insert/orthotic is one that is custom made to your foot type. 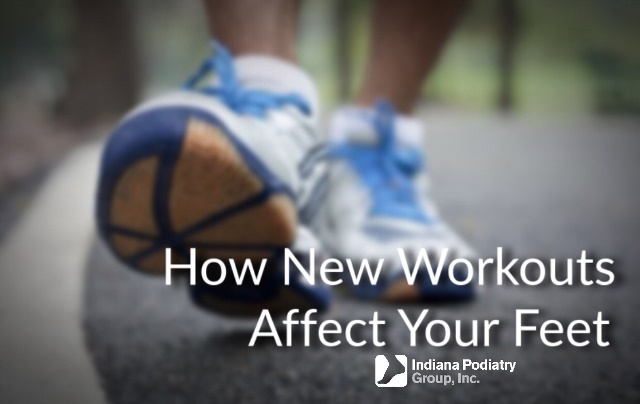 If you are beginning to have increased foot pain due to your new 2017 exercise plan and your shoes are not giving the support your body needs, please call and schedule an appointment with an IPG foot doctor for further evaluation and possible orthotic discussion.